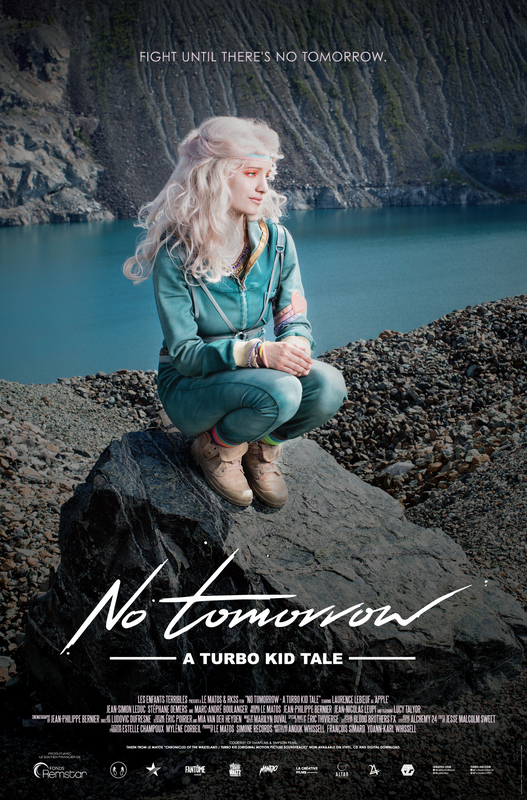 The 2016 "No Tomorrow: A Turbo Kid Tale" is as the title already tells us an 8.5-minute music video that is linked closely to the 2015 film "Turbo Kid". Laurence Leboeuf plays the central character and also the people who wrote and directed this brief little film were the same ones as in the feature film I believe. This one is probably especially worth checking out for all fans of the Apple character. I think the song is really catchy and the visual side is decent too. One exception though. The eyes of the giant brute make it pretty easy to see that he is wearing a mask. But that's my only criticism I guess. I have not seen "Turbo Kid" (yet? ), but this one here makes me slightly curious about it as it looks like a pretty fantastic apocalyptic world, even if Sci-Fi is usually not my preferred genre at all. So yeah, nothing truly outstanding we get in any area here and you can make an argument for both sides if this short film is really needed, but I personally give it a thumbs-up and recommend checking it out. It also does not require you to have seen "Turbo Kid" as I didn't either like I already wrote and still managed to enjoy "No Tomorrow". Short music video featuring music from the OST of Turbo Kid and acts as a prequel to the movie. It's fun, it's a nice song and I think it is fair to say that Turbo Kid is a cult classic in waiting. If you haven't seen Turbo Kid, I would suggest watching the movie before watching this as you will appreciate it more and it kinda has some spoilers in it too. As a fan of the movie, and only just finding out that they made this, as well as hearing that there is a 2nd movie in the works..